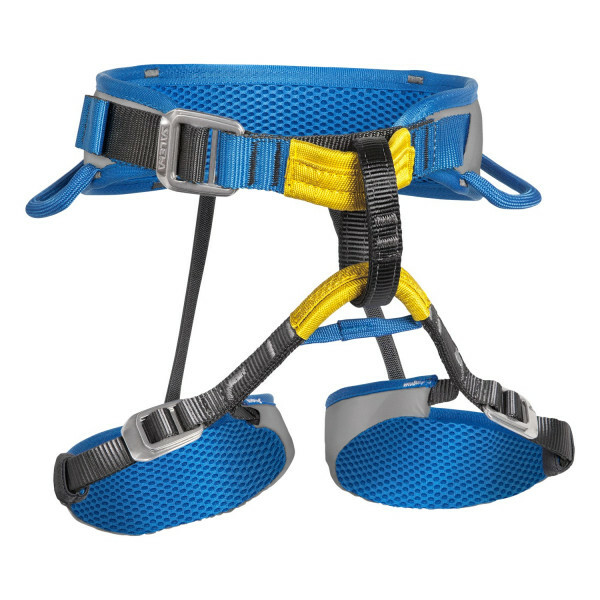 The kids’ version of our Xplorer harness offers maximum safety and all-round comfort for the climbing stars of tomorrow. The Xplorer Rookie is a robust, comfortable kids’ harness designed to offer maximum safety and all-round comfort. Its SALEWA Evobelt design combines the flexibility of a floating waist belt with comfortable, breathable 3D mesh fixed padding to ensure that the harness remains correctly centred. For extra safety, the tie-in loops are in bright, contrasting colours to make visual checking easier. With 90SafX buckles at the waist belt and leg loops for easy adjustment, maximum safety and full adjustability for growing children.